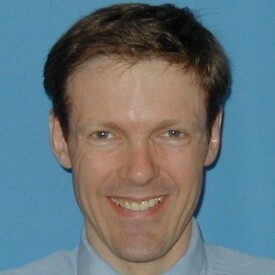 Dr Mark Appleby is a Consultant Cardiologist with a special interest in interventional cardiology. He regularly carries out interventional procedures such as angioplasty and stenting. I obtained my degree in Medical Sciences from the University of Cambridge and subsequently completed my medical training at Guy’s Hospital in London. My specialist cardiology training was undertaken at the Yorkshire Heart Centre in Leeds, where I gained extensive experience in angiography, pacing and angioplasty. Following completion of my training in the UK, I undertook an International Fellowship in interventional cardiology at the University of California, San Francisco in Stanford, USA. I have a wide experience of general cardiological conditions and a special interest in interventional cardiology, and I have published extensively on coronary artery disease and stents.